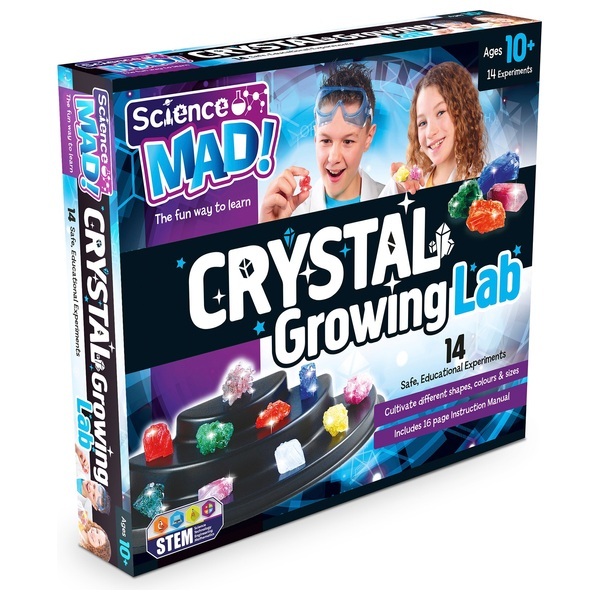 With this Science Mad Crystal Growing Kit learn and discover about growing and cultivating your very own crystals. The kit contains all children need to grow different colours and types of crystal. The detailed instruction booklet contains fascinating experiments and explains how crystals were formed when the gases the Earth is made from cooled millions of years ago. EU Warning: Not suitable for children under the age of 10 years due to the nature of the product.For use under adult supervision. Contains some chemicals which present a hazard to health.